The Aggie coaching staff has long considered it a must to have 2 running backs in the 2015 class. This would not have been such a high priority had the Aggies not missed on taking a running back in 2014. On signing day last year, long time Aggie commit Varshun Nixon flipped to TCU. Although not a crucial blow due to the depth of Trey Williams, Tra Carson, and Brandon Williams, the coaching staff has been focused on bringing in 2 backs this time. 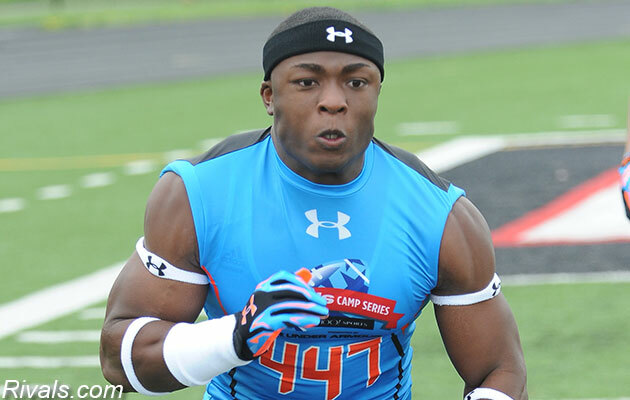 4-star running back Kendall Bussey fills that need. The all-purpose back out of New Orleans, Louisiana is 5’8” 198lbs. He was recruited hard by A&M for the past several months but ultimately chose the Volunteers over the Aggies in December. Since then the coaches have continued to press him leading to his flip today. Bussey held offers from Arizona St, Arkansas, Missouri, Nebraska, Notre Dame, Oklahoma St, TCU, and USC among others. He will join fellow 4-star running back Jay Bradford in the 2015 class.